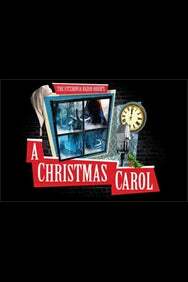 We do not curently have theatre tickets available for A Christmas Carol - The Fitzrovia Radio Hour This could be because we have simply sold out or it could be that this show is no longer running. The information on this page remains purely for historical and informational purposes. Dickens’ classic reimagined as a 1940s Christmas special. Spiffing scenes and Victorian stereotypes keep coming, despite visitations from more ghosts than the cast are expecting! Spectacular sound effects created live, cut-glass accents and sharp suits combine to create a unique alternative festive entertainment. The Fitzrovia Radio Hour are an acclaimed troupe whose period charms have worked wonders on venues including Shakespeare’s Globe, Wilton’s Music Hall, the Royal Albert Hall and The Vaults, as well as a sell-out West End season. A ripping set of yarnsâ¦ a triumph of visual comedy!